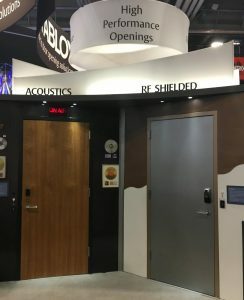 In the two years since Radio Frequency (RF) shielded opening products were a hit at the ASIS show, we’ve seen them chosen for some very cool projects. These include information vestibule applications for top-secret data storage, government, financial and military facilities. 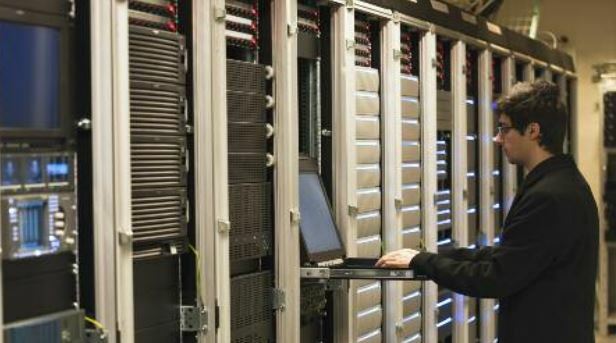 Feedback from security integrators at the show pointed out a specific need for rooms where top secret or classified data is stored or discussed. The entry point has traditionally been a weakness in Sensitive Compartmented Information Facility (SCIF) rooms. However, utilizing an RF Shielded door for an information vestibule adds an extra layer of protection. RF shielded doors have emerged as an ideal option for the outer opening of an information vestibule, due largely to the door’s hybrid capabilities of having an STC 50 rating along with shielding properties. At the recent ASIS show, engineers, end-users and other industry professionals showed increased interest in Radio Frequency (RF) shielded products. The RF shielded door opening on display at the ASSA ABLOY booth was a big hit! Attendees were very interested in this multi-solution RF shielded door opening for SCIF rooms, where the transmission of electronic transmittance or surveillance is not allowed. They’re constructed using materials that keep sensitive information secret to block attempts of espionage. Since the door opening is the one component of the room that opens and closes, it is the most difficult part of the room to secure. One solution is the ASSA ABLOY RF Shielded door opening – when the SCIF room door is open, the vestibule door remains closed and blocks any radio frequency penetration. It was good to hear from ASIS attendees who help supply and build SCIF rooms, and to hear how they could use this door to help make the most secure rooms possible.